Accessing customized print files on a per-order basis is a common scenario that print on demand stores are facing. Sometimes the custom files have unique artwork supplied by the customer or sometimes a plugin is building custom files with special text from the buyer. The problem to solve is how to attach the custom artwork file to the order so it can be sent to a printer for fulfillment. Every store will have a different set of factors at play, so the best way to find out how this will work for your store is to start sending test orders into Order Desk. We'll go over the process of getting this set up in this guide and tell you what the next steps are you need to take and at what point our developers will be able to step in and work with you to finalize this setup. 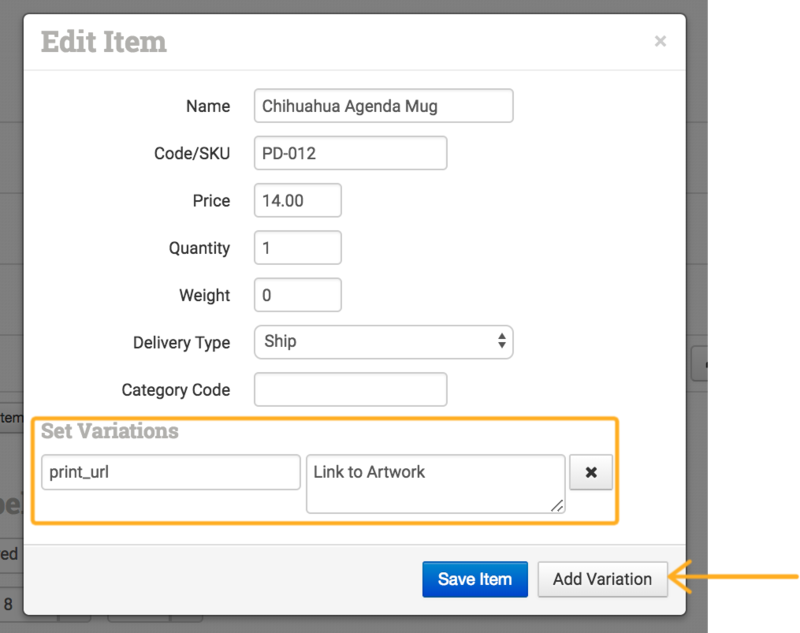 If you're looking for information on how to set up a print on demand store and won't be working with custom artwork for each order, you can read our print on demand fulfillment guide for more information. You will also need to include the print_sku (the printer's code for the product) either as a variation or metadata. For more information on how to work with print on demand products in Order Desk, please review our print on demand fulfillment guide. Realistically, what you are looking for is how to do this automatically so you don't have to manually add the artwork file every time an order comes in. This will take some testing, and in most cases will require our developers to help out with custom scripts. With this information, we will look at your store to see if the files are coming through. If we don't see them, we'll check the API connection from your shopping cart to see if we can access the file. If so, we'll make sure to update how we pull the files for your store so they'll be added as the print_url for your items. If your shopping cart doesn't provide any way to do this, our developers can work with your developers to build a custom script that will add a specific URL to these items when they're ordered and downloaded into Order Desk. Please contact Order Desk support to begin the conversation.